In our last message to you, Message 5 http://astraeaetamora.org/2015/11/the-perfection-of-all-that-is-through-universal-superconductivity-of-the-infinite-consciousness/ we stated “in this moment in time, All-That-Is is pushing evolution through the polarization of every system’s expression” and by this we mean that every system in the creationary fields of All-That-Is requires magnetism, and therefore polarity, as a foundational activity in the support of All of creation, and particularly in the creation of form within the third dimension. Why is this? Because creation here in your reality and all other realities that make up All-That-Is require the principles of magnetism and polarity since they are the very power behind superconductivity – the primary state upon which evolution is founded within the primal fields of the First, Second and Third Causal Fields of Creation. First we will discuss polarity. Polarity is one of the prime forces under the principle of magnetism which is responsible for all aspects of evolution within All-That-Is. This is a term used in electricity and magnetism where two objects exist and there is an electric potential between them. In this instance one object has more electrons than the other. The pole with more electrons is said to have negative polarity; the other pole is said to be of positive polarity. If two poles are connected by a conductive pathway (such as a wire, for example) electrons flow from the negative pole to the positive pole, and this is considered charge or current. The movement of electric charge produces a magnetic field and this magnetic field is made up of composite geometrically aligned atoms. As soon as a natural geometrical structure is created, there is an instant foundation upon which to build a superconductive infrastructure where the principle of magnetism is automatically introduced through polarization of the elementary particles. Polarity is further enhanced within crystalline structures because these elementary particles form new superconductive pathways in the form of latticework created from sacred symmetry or natural geometrical structures. Magnetism, created within elementary particles, continues forever and is never eliminated, even as evolution in form moves from what is known to you as third dimensional form and into what you sense as fifth dimensional form. 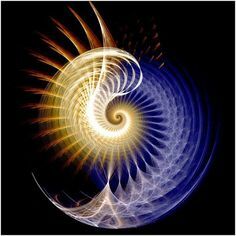 Certainly, the nature of matter changes from one dimension to another, and in this moment your reality is moving from low density, low vibrational magnetic fields into a much higher density of photon light, see Message 3; http://astraeaetamora.org/2015/10/the-dynamics-of-ascension-through-evolution/ – and therefore a higher frequency, such as a fifth dimensional frequency. In fact as one moves clearly from the third dimension to the fifth dimension it becomes a notable fact that energy moves more freely as photonic density and frequency increases and superconductivity expands. Matter in the fifth dimension that you call crystalline matter reflects new inner alignments over those found in your third dimension, alignments of elementary particles into beautiful and complex geometrical patterns. The property of superconductivity continues to expand within all crystalline structures as new pathways arise and are no longer confined to the limited A to B construction as is found within the third dimension. One final note here on electricity as a property of magnetism. Your science has combined these events to create the description called electro-magnetism. This is because electricity creates the current within the electrons in matter and electricity is also within the surrounding magnetic field where there is also polarity. Electro-magnetism cannot be separated in lower dimensional expressions, but as creation moves into the fifth dimensional expression, electricity is dropped. There is no consideration of electro-magnetism within All-That-Is beyond the third dimension as it is only an application of understanding limited to the third dimension. Electricity, as you know it, does not exist within the greater outer reflection of All-That-Is; It is primarily a limited property that is linearly oriented and slow in action, too limiting for applications within the higher levels of expanded awareness. While these concepts may be new to you and may seem difficult to understand, it is really very simple: Electron movement creates a magnetic field through polarization of particles and particle to particle expansion through sacred geometrical pathways creates superconductivity throughout All-That-Is. Remember this: Your human body-mind-spirit system is also an example of this brilliant event.